And so I was welcomed to the world of lawn maintenance; something I hadn’t put much thought into past having to mow it every so often. 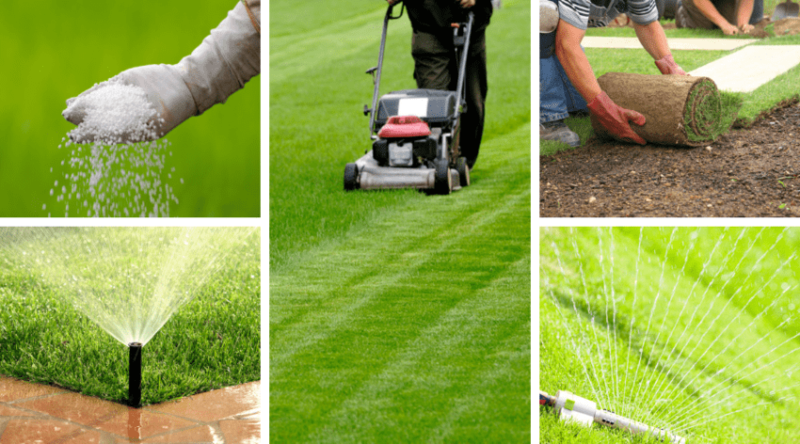 But lawn care IS so much more than cutting and fertilizing- it also entails weed control, watering, trimming, seeding, pest management…and the list goes on. 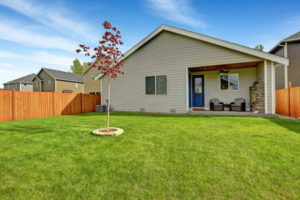 The good news is that once you get it all figured out, everything comes together to keep a lush, green lawn healthy and thriving, but it can take up a good chunk of your weekends off depending on lawn size – which is why many people have thought over the cost of installing artificial turf. 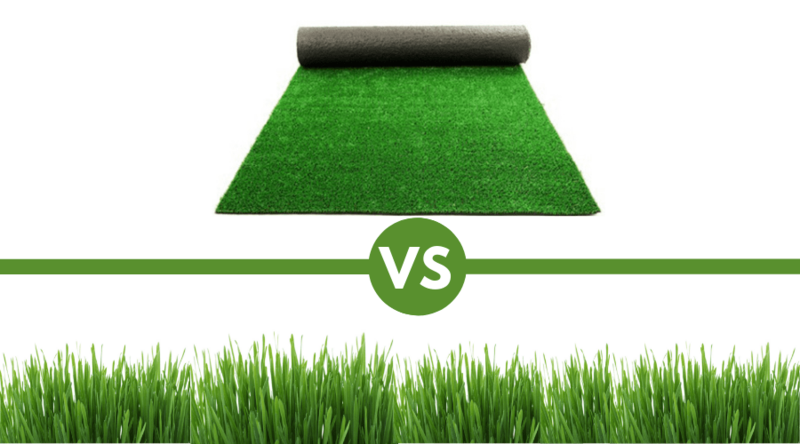 Read on to compare the differences between artificial grass vs real grass. 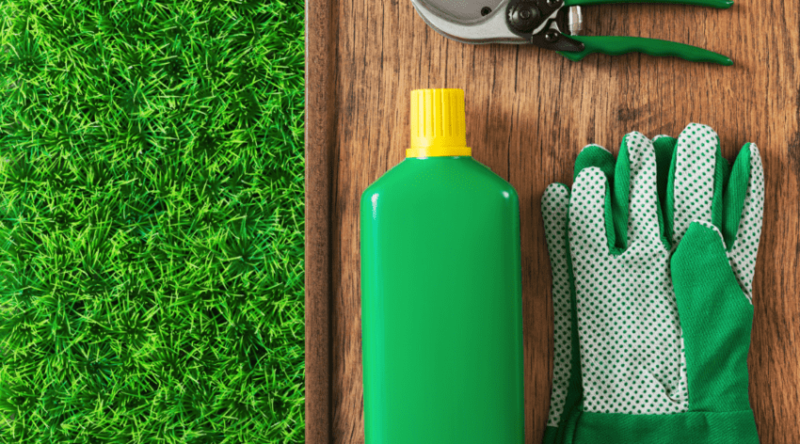 ARTIFICIAL LAWNS: WHY CONSIDER THEM? For years synthetic turfs have been used on sports fields and in some larger industrial complexes, but let’s face it, it never looked real and was there only to serve the purpose of providing an attractive look compared to the alternatives. But artificial grass has been gaining ground in the lawn and garden industries over the last few years due to their material and aesthetic improvements. In fact, many artificial lawns look EXACTLY like the real thing, even down to the bent and browned grass blades added in to provide realistic detail! 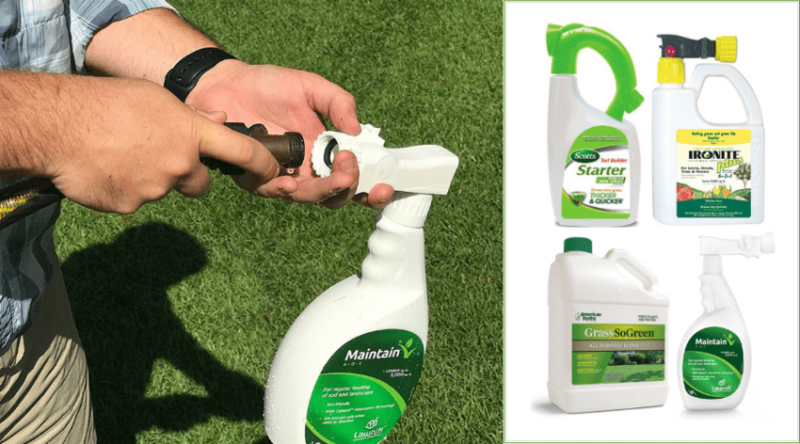 A perk to artificial lawns that many don’t think about are the lack of allergens present if you have grass allergies present in your household. Depending on the type of allergy (such as a contact allergy vs airborne), this could be a good choice for you. 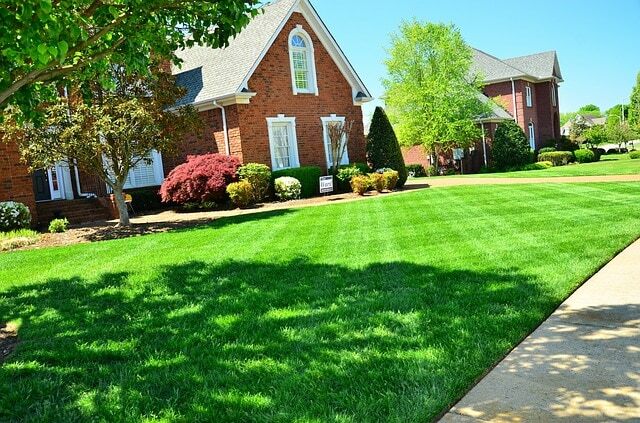 Although it isn’t 100% maintenance free, Artificial grasses have an average life of 15 years, requires no mowing, trimming, fertilizing, or watering – and really only needs to be raked (or blown), sprayed for weeds, and repaired in case of damage. 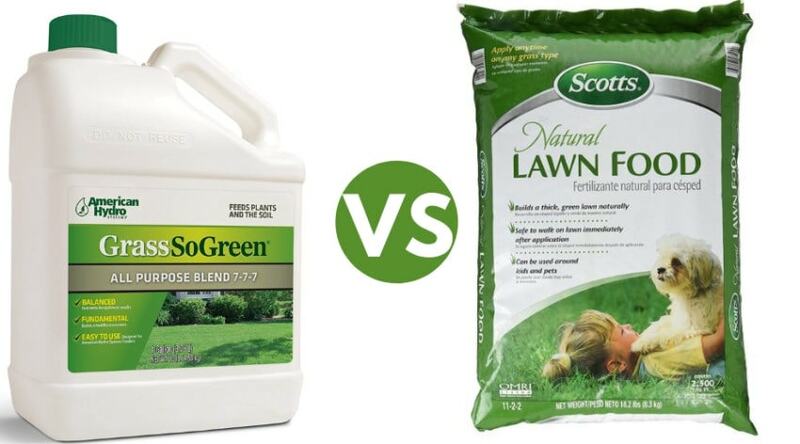 Furthermore, it’s a perfect choice for areas that are hard to water, cannot hold the weight of live grass, and provides an easily cleanable area for pets. Having seen them used locally at a nearby college, and on displays in home shows, I have to admit I was pleasantly surprised at how real to life they both look and feel if you are willing to spend the money. In fact, it is something I personally would most definitely consider for small landscaping spaces. You also will have to set-up a weed control schedule as weeds and grasses can take seed on artificial turf. This doesn’t take much effort, but if neglected can begin to compromise the life of your product. The biggest set-back is the upfront costs since a quality product can get rather pricey, and it does require professional ground preparation and installation for anything larger than a small area. However, these costs are offset by the savings you make in water, gasoline, and other lawn care items needed to create a similar look. Further complaints and concerns include how hot it can get in Southern climates where it is in intense sun all day, the worry over the plastic materials it is made from having eventual toxic run-offs, and the fact that once the lawn is worn out, it is thrown away in the trash – contributing negatively to landfills. There is something comforting about a living lawn, and my favorite thing to do after cutting mine is sit on the patio swing and just enjoy the fresh cut grass smell and how pretty it looks. To me a well kept lawn is part of a family property. It’s how I grew up, and I definitely have an emotional attachment to the good times had by all playing in the yard when we were younger. Now with a family of my own, the lawn truly is an extension to the playroom depending on seasonal weather- and not many days go by where you cannot find my boys running circles, jumping through sprinklers, kicking balls, or wrestling with the dogs in the grass. As mentioned, usable lawns need care. And used lawns need upkeep. 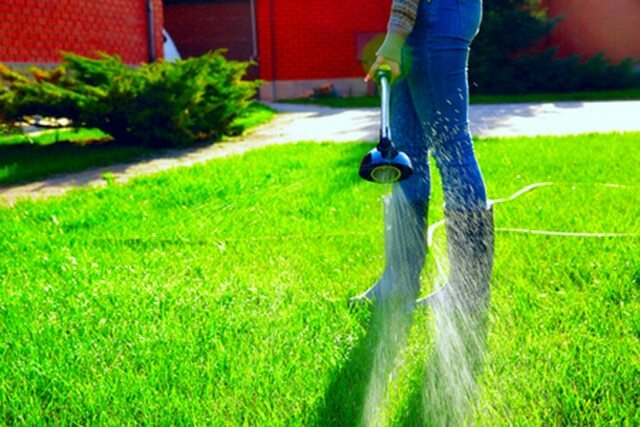 Grass requires regular watering to grow, and growing grass needs to be cut. It also needs to be fertilized, treated for weeds, trimmed up next to buildings, posts, and other obstacles where a lawn mower won’t reach, and reseeded or patched where it’s been accidentally dug up or worn out to the roots. This might sound like a lot of work, but with a little research and application, you’d be surprised how easily it can all run. For example, different types of grasses can be chosen that tolerates less watering in areas of drought or intense heat. Good watering and mowing techniques will help grass roots grow deep, requiring less of both. 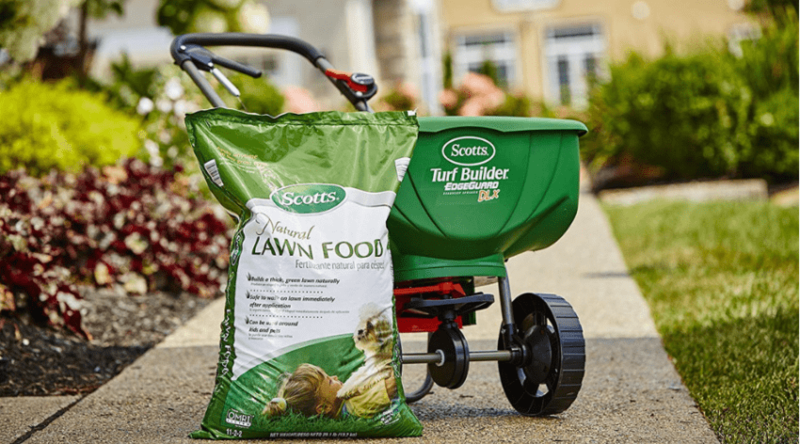 Fertilizing really only needs to be done once or twice a year depending on your soils and grass type. And weed control can be minimized through some of the above mentioned which helps to choke out what vegetation isn’t wanted. The loudest complaint about keeping grass is the maintenance it takes to keep it green and healthy. Some people are unwilling, physically are unable to, or simply cannot afford the time it takes over the course of a growing season. 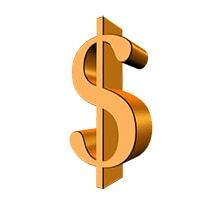 Plus, water costs (or energy bills if you have a well) will go up during grass season. If you are on city water you may also be restricted by amount usages. Pests, although not incredibly common, can also be a hassle when they happen. Grubs below the soil can destroy grass roots, and rodents such as voles and gophers can cause havoc with the grass and cause soil to collapse in on tunnels. 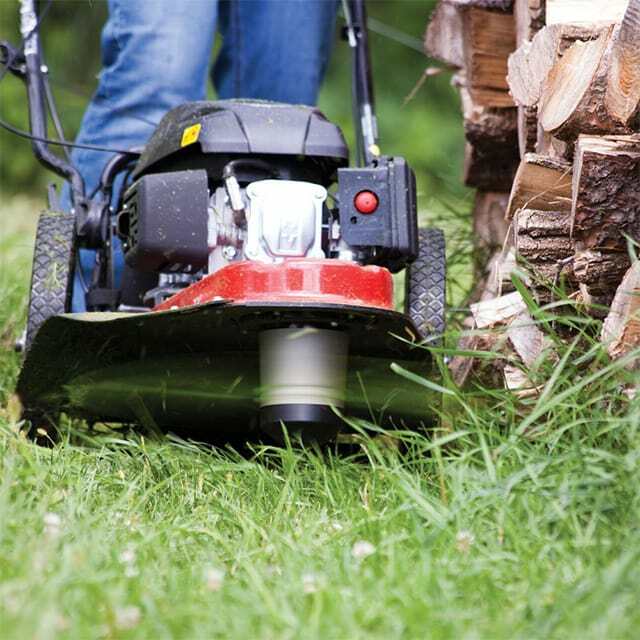 Another concern people have with general maintenance is both the noise and air pollutions caused by lawnmowers and weed wackers (unless you go gas free. My father does this and gets a great workout to boot that he swears keeps him fit!). Some fertilizers are also toxic for a time period and can make wildlife and your animals ill if they happen to ingest it (although organic and pet/child safe fertilizers are available). 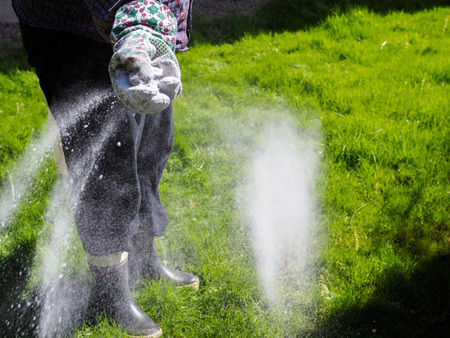 Fertilizers can also wash into shallow water tables and cause toxicity issues over time. If you have been considering putting in a lawn, replacing your current lawn, or are just tired of lawn care although you want to have a grassy area- then hopefully this article has shed some light on the general differences between artificial turf vs grass; two of the choices you have to keep a green space. I love the idea of an artificial lawn for urban gardens and smaller landscaping spaces. 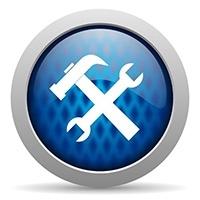 If you are DIY savvy you can also typically avoid installation costs in small spaces. As for me, I would be skeptical about putting in a large space basically because I’m not sure it would have the same value to me as real grass, and since mine is currently used so heavily, heat and wear and tear would be a concern- but it really does come down to personal preference. As always, comment below with any questions or stories you would like to share! If you liked this article, help spread the word! 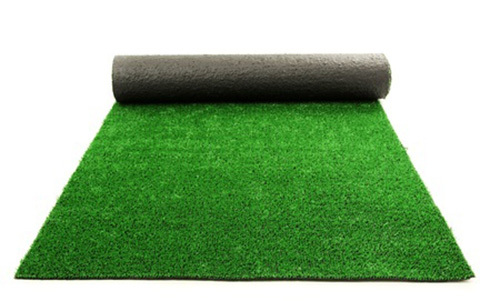 Having recently experienced high quality artificial grass, I was pleasantly surprised at how real feeling it does feel! Although both choices have maintenance involved with their care, I think the ultimate choice comes down to personal preference. I’m a real grass type person, but am impressed with the innovation behind artificial. Thanks for your comment! We always enjoy hearing from our readers!